You have probably noticed that BuyLinuxCDs.co.uk site has recently changed its design. The first order that came from the redesigned site contained a highly unexpected item: PCLinuxOS. But unexpected or not, you certainly can purchase a disk with this operating system from BuyLinuxCDs.co.uk, along with many others on offer. Of course I always test the disks before sending them to customers, so I tried to run that distribution myself too. To start with, the design of the official web site of PCLinuxOS is so cool outdated that you can see it with a naked eye. They are stuck somewhere in 2007, I suspect. 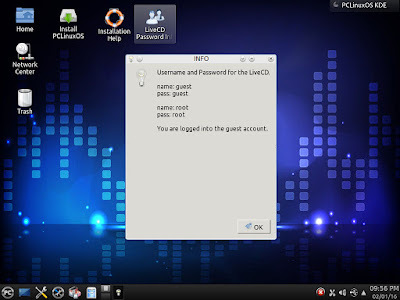 Second, the latest version of PCLinuxOS KDE that you can download from the official web site is dated December 2014. Though there are some updates on the front page, new versions of the browsers, kernel or other software are released almost every day. But why can't the team create a newer edition of their OS with all the updates? Isn't it better for the user to download the image with the latest versions of software once than download 1.8 GB of an outdated ISO image and then get the same amount of updates separately? Nevertheless, I had an order to fulfill. I burnt the ISO image to the DVD-R disk. Reboot. Choose to boot from the optical drive. Let's go! The boot process of PCLinixOS KDE 2014.12 is not too complicated. The initial menu allows you to set up the screen resolution and to choose the system language, although the only language available is English US. "Any customer can have a car painted any colour that he wants so long as it is black." After passing the initial menu, you only have one additional question, which is to choose the keyboard layout. 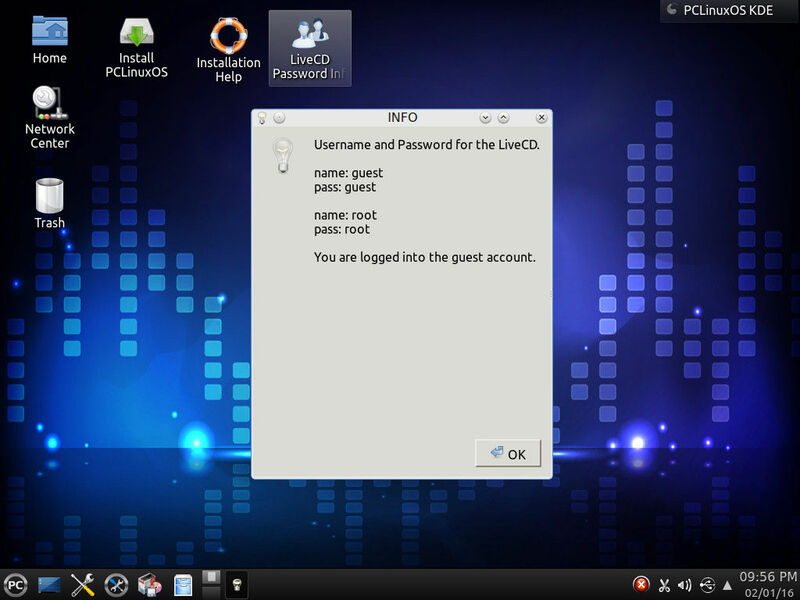 Once the system is booted, you land on a fairly standard KDE screen with all the expected elements on it: panel at the bottom, menu button at the left part of it, notification area on the right. There is nothing to worry about, apart from the screen resolution. Even if I selected the resolution to fit my wide-screen laptop in the boot menu, PCLinuxOS decided to have the standard resolution instead. That was easy to fix in the Monitor section of the Control Panel. If you remember, I mentioned just above that the car can be painted in any colour. That was not the end of the story. 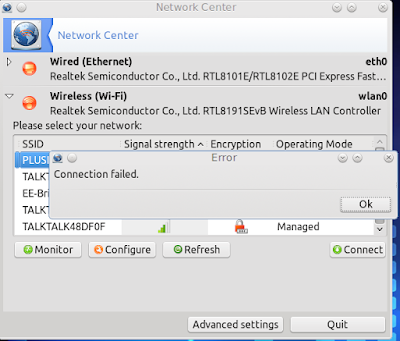 The Network Manager icon in the notification area of the panel calls up the window where you can configure your wireless network. It lists all available networks in the vicinity. There is also a button that allows you to make further configuration, which includes the geo-setting of wireless card. The default is US. Unfortunately, that selection process has no effect. To cut the story short, I could not connect to my home wireless router that is set up to GB frequencies. Why bother with this zombie? In the PCC center you can choose your WiFi country settings...... and then there are the Community releases from 2015.12. 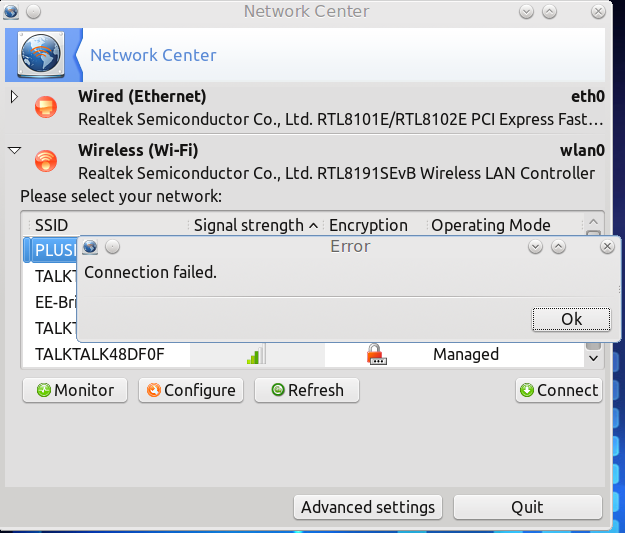 The help and suggestions WiFi howto with the liveDVD is brought to you on the PCLinuxOS forum. Yes, somewhere in the Internet Joe Bloggs has created his own "community release". Unfortunately, it is not listed on the official site in the Downloads section. I would not trust that. The geo-setup of the Wireless card should be in a logical place. If it is in the Network Centre, it should work. If it does not work there, it should not be there. Simples!